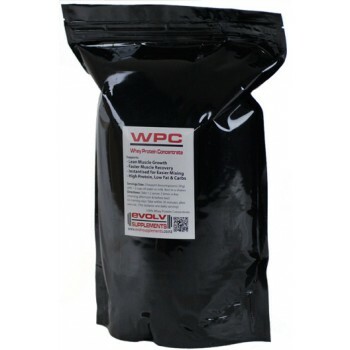 Evolv Supplements WPC is one of, if not the most cost effective Whey Protein Powder in New Zealand. If your looking for high quality whey protein powder then look no further. Using Pure Whey Protein without additional fillers / sweetners and flavours you are getting the best bang for buck. Wondering why our protein is priced so low? Thats because we want to provide NZ with a real, great priced, high quality, safe protein. So you can achieve maximum results without inflated prices that are typically seen.